A magnificent name for a magnificent tea, Jiu Long Pao, or Nine Dragon Robe in English, is named after the Imperial Robe of high ranking officers during the Ching Dynasty (late 19th Century). This new tea is created by Fujian Province Tea Department by cross-breeding Da Hong Pao tea plant, and only very recently made available to the public. The raw tea buds and leaves of this tea are partially purplish in color, although this is no longer visible in the final product (i.e. after processing). Hence its other name, Zi Long Pao, which means Purple Dragon Robe. A special tea unique in both style and flavor, we welcome you to give this new tea a try. 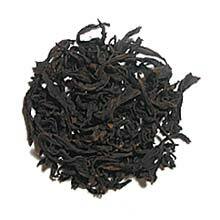 This tea is very aromatic and the taste is thick with fruity sweetness. Good for multiple infusions.